dr.ir. 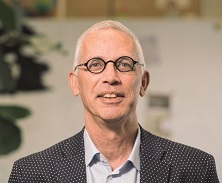 Robert Schuwer (The Hague, 1955) is expert open education. My affiliation is professor Open Educational Resources at Fontys University of Applied Sciences, School of ICT. In september 2016, UNESCO has established a UNESCO Chair on OER to Fontys. This chair is held by me. More information.